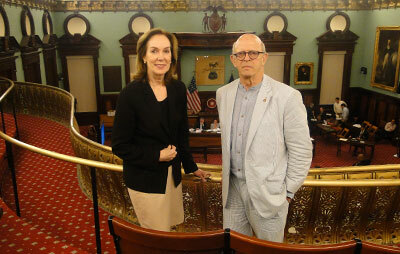 Margaret Castillo, AIA, Helpern Architects principal and 2011 president of the American Institute of Architects New York Chapter, and Lance Jay Brown, FAIA, AIANY’s 2014 president, presented the challenges of rebuilding and of strengthening the city’s resiliency for future catastrophic events.at an unusual combined June meeting of five New York City Council committees. 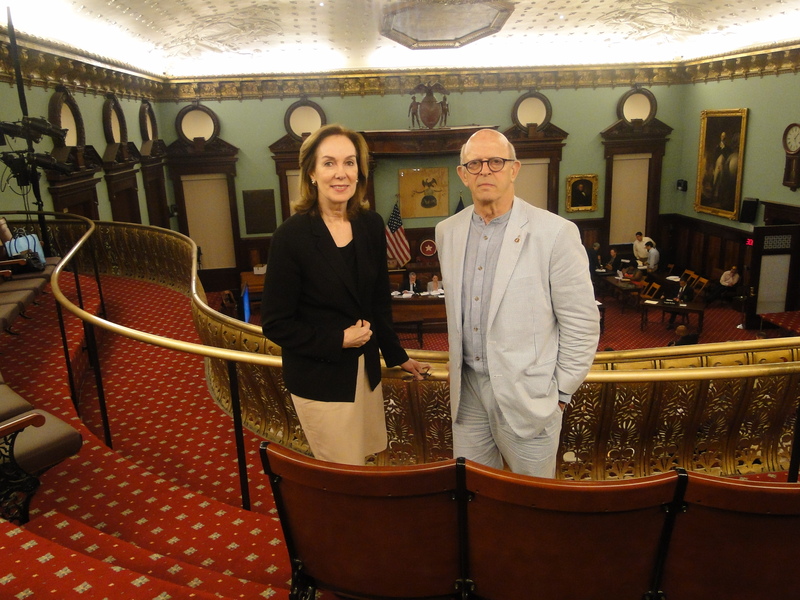 In the sobering aftermath of Superstorm Sandy, Councilman James F. Gennaro, chair of the Council’s Environmental Protection Committee, was joined by members of the Committees on Housing and Buildings, Parks and Recreation, Transportation, and Waterfronts. Castillo, co-chair of the Advocacy Working Group of AIANY’s Post-Sandy Initiative, is known for her expertise in sustainability design. Brown, who co-chairs AIA New York’s Design for Risk and Reconstruction Committee, is a professor in the School of Architecture at The City University of New York. Their presence underscored the increasing engagement of the architectural community with policymaking and planning for adaptation to climate change. AIANY’s testimony summarized the findings of the Post-Sandy Initiative. In that volunteer effort, undertaken immediately after the storm, more than 300 design professionals applied their specialized expertise to both how buildings, neighborhoods, waterfronts, and urban infrastructure might be modified for long-term resiliency, and how they can remain functional during emergency situations. Following remarks from Seth Pinsky, then-president of the NYC Economic Development Council, whom Mayor Bloomberg had tasked with overseeing Sandy recovery efforts, Brown and Castillo were joined in presenting to the hearing by other authorities including Cecil Scheib, director for advocacy of the Urban Green Council (the New York chapter of the U.S. Green Building Council); Ramon Gilsanz, P.E., principal of Gilsanz Murray Stericek Structural Engineers, speaking for Urban Green’s Building Resiliency Task Force, and Dorothy Harris, vice president for government relations of the International Code Council.